I philosophically avoid Target in July. I refuse to see back to school supplies for sale that early. It makes me feel even more uneasy than seeing the Christmas decorations for sale during the summer at Costco. But I can’t fight it forever. It’s almost time to think about back to school and gearing up after the summer. For me, that means I won’t have all day to think about/plan/prepare meals. If anyone were to ask me, I’d say that the hardest part about going back to work after having a baby, is getting dinner on the table every night. When my little one has been at daycare all day, by late afternoon he wants mommy-time. And I want to see him too. So that means 5-6pm is bananas in my house. There are some days that I just stand in my kitchen at 5:30pm, look around, and think, “How on Earth did my mother do this for 20 years?” Dinner on the table. Every. Single. Night. I have 2 post-secondary degrees. Why is this so hard? Then, I pour myself a glass of wine and try not to serve Kraft Dinner, again. What I don't look like when I'm making dinner. Here are the tricks I use to get meals served by 6pm after working all day. 1. Plan it out – I plan my meals of what we will eat a week at a time. I learned this one from my own wise mama. At some point on the weekend, I’ll sit down and plan out the meals for the following week. Then I check and see what ingredients I need to pick up, and that’s how I make my grocery list. 2. Make dinner after dinner (or at least the chopping) – I first learned about this from the Rookie Moms. After dinner, Rob will put Seb to bed, and I’ll get back to the kitchen and make dinner for the next night. The key to this trick is making sure you do it before you sit down and turn on Netflix for the night. Chopping veggies before dinner with am 18-month old old jumping at my legs was something I didn’t do more than a few times. 3. Weelicious – I started using this website when Seb was a baby. I’ve made many of the recipes, and it’s my “go to” website for new ideas and quick, healthy meals. I’ll look at it a bit on the weekend and make sure that I pick up any ingredients when I go grocery shopping. I have her book as well, and it has been well-used in our home. I also love this article by The Happiest Home called What I Make for Dinner When I don’t Feel Like Making Dinner. 4. Supperworks – Supperworks has been a life-saver since Seb was born. This is how it works, you go online and look at their monthly menu and select the meals you want to make. Then you pick a time and date to go and prepare your meals at their location. When you get to Supperworks for your session, all of the washing, chopping and clean up is done for you! I can make 12 meals in under 2 hours that all go home to my freezer until I’m ready to cook them. 5. A crockpot – Similar to #2, at least once a week in the winter I will get all of the ingredients ready the night before, and do the crockpot thing in the morning before we’re all heading out the door. 6. 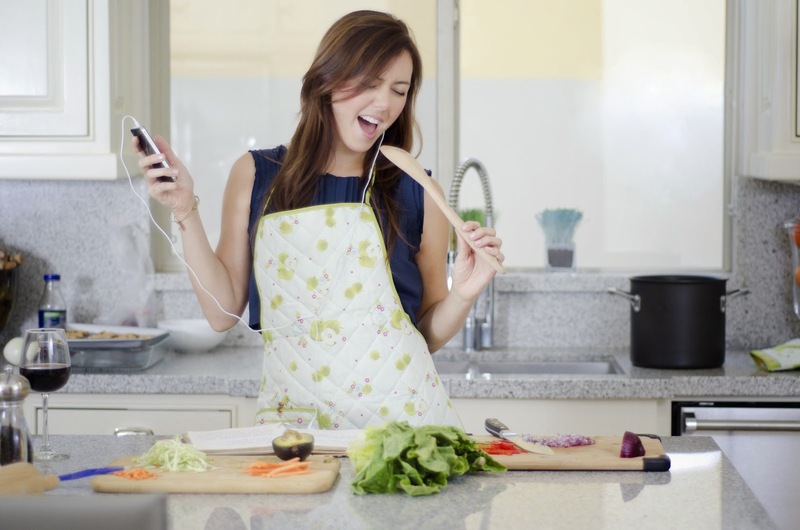 The iPad – Love it or hate it, the iPad helps me get dinner ready. I fought this one for months, but after one too many meltdowns (both toddler and me), 5:30-6pm is iPad time in our house so I can make dinner. Seb is too young to watch tv, plus our tv isn’t on the same floor as the kitchen, so iPad it is. He loves watching this channel of videos and has a few apps he loves to play. This one is his current favourite. Choice – This is a big one. If Seb feels like he’s in control, things are much more likely to run smoothly. I give him two options and let him pick one. The easy one is to let him choose his plate and cup. Sometimes he’ll choose his meal (fishsticks or grilled cheese? ), or, on particularly fussy nights, even where he wants to eat (dining room table or craft table?) and that can help. A special placemat – I really don’t have any idea how Seb eats at daycare because the sky would open and start raining unicorns before Seb ate a meal at home without his placemat. 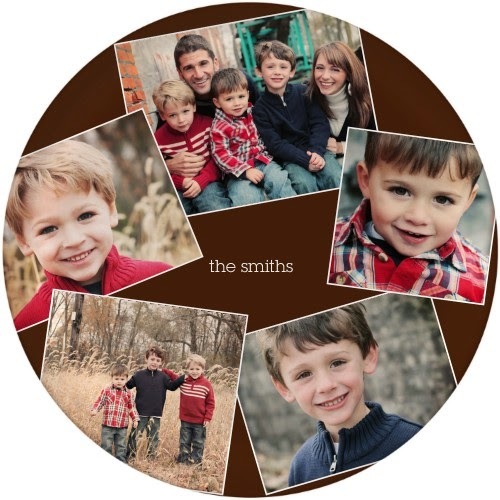 We have one with letters and animals on it, but Shutterfly has some really great options. I like the idea of adding your own pictures to it. Seb loves playing “finding games” with his placemat. We ask him where a letter or animal is, and he has to find it. 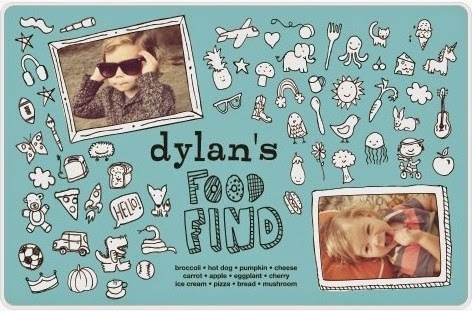 You could do that easily with the A is for Alphabet Placemat or the Food Finds Placemat. 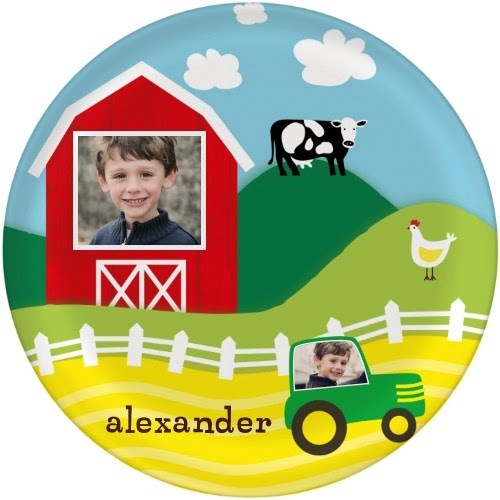 Fun plates – We also have many different kid-friendly plates. 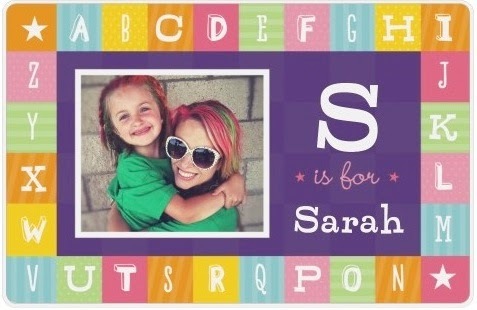 Since Seb is obsessed with letters and loves looking at pictures of people he knows, Shutterfly also has cute personalized plates that fit the bill. I think he’d like Farm Fun Plate or the Gallery of Five Plate. 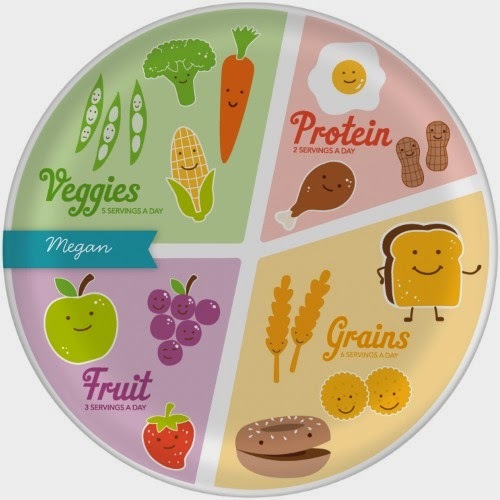 I personally like the Healthy Plate, but maybe that’s the mama in me. And if all else fails, I always have a frozen pizza in the freezer. Do you have any tricks that help you get dinner on the table every night? I'd love to hear them. Sometimes I feel I can use any help I can get in this area!